Build A One-Story House Or Two? Because you’re building a house yourself to save money, you should give serious consideration to building a two-story house. 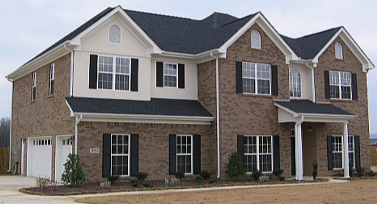 A two-story house is much cheaper to build than a one-story of comparable square footage. My experience has been that savings of ten thousand dollars are possible on a 4000 square foot house. 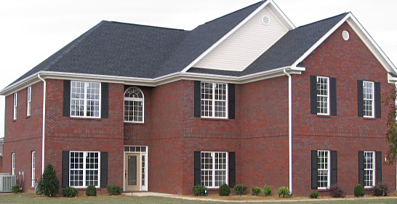 The savings accrue in primarily two areas: foundation and roofing. This type of design has exterior walls that, in most cases, rise straight from ground to roof level with few or no offsets or corners that aren’t necessary. Such a design is by far the most cost-efficient. It allows one square foot of foundation to serve two square feet of living space, with the same being true for roofing. A box design doesn’t need to look “boxy”. This attractive design is a house I built that is a virtually perfect example of the “two-for-one” principle. That issue can be dealt with to some extent by placing the master bedroom downstairs. I look at stairs as aerobic exercise I should be doing anyway. I don’t advocate one over the other. It’s strictly an individual choice.